Councillor Lukes and Mayes put forth a motion at the Riel Community Committee meeting in July (2018) to study ways to improve traffic flow and reduce collisions as residential and commercial development continues to increase the number of vehicles on Bishop Grandin Boulevard. 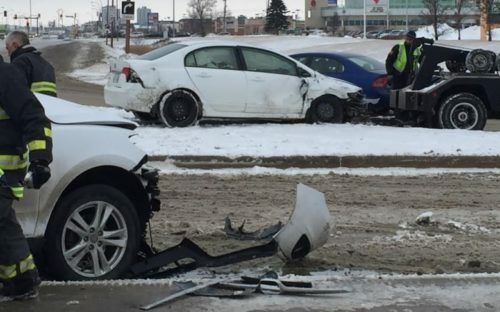 Several intersections along Kenaston Blvd and Bishop Grandin have placed high on lists released by MPI, which detail where collisions happen most frequently in Winnipeg. This study will draw on data collected in the 2016 High Collision Intersection Study conducted by MPI and the Winnipeg Police Service.